PC World knows you need a break after a long week. Here are&#160;the latest items we've found in our ongoing efforts to celebrate slack. Olaf Kopetsch, who lives in Germany,&#160;always tries to get his hands on American video games and movies--partly because he wants to play the unedited versions of U.S. titles, but mostly because he wants to learn some slang. No, I'm serious. This practicing neurosurgeon uses video games to pick up English. Today, class, we're going to learn how to threaten someone who writes a harsh review. "I'm learning some American slang from undubbed movies--a good example of that is The Departed. It's full of colloquial (and swear) words," he says of his curriculum. Matt Damon's gravy-thick Bah-ston accent in that movie was so indecipherable,&#160;Kopetsch relied upon subtitles. Most recently, though, he has found that he's learning more while playing the bloody heist game Kane & Lynch: Dead Men as his next "class." You see, like a movie's audio track, the game can switch between German and English on the fly. "Sometimes it's so funny, how they translate English curses into German. Sometimes it really makes sense, because some puns are not directly translatable," Kopetsch says. What is he learning, exactly? "Well, Kane & Lynch won't fully help to learn a language--unless you intend to have a conversation where every second thing is the f-word," he jokes. If anything, it teaches him game-centric slang such as "health pack"--as well as&#160;conversational speech--in other languages. Since you asked...nope, I have no idea what 'Shoryuken' means, either. Yep, games and movies are our international cultural ambassadors, introducing our goofy ideas to the world. The question is, does that exchange go both ways? I decided to take an afternoon crash course going through my library of games to see if I could pick up any handy phrases. 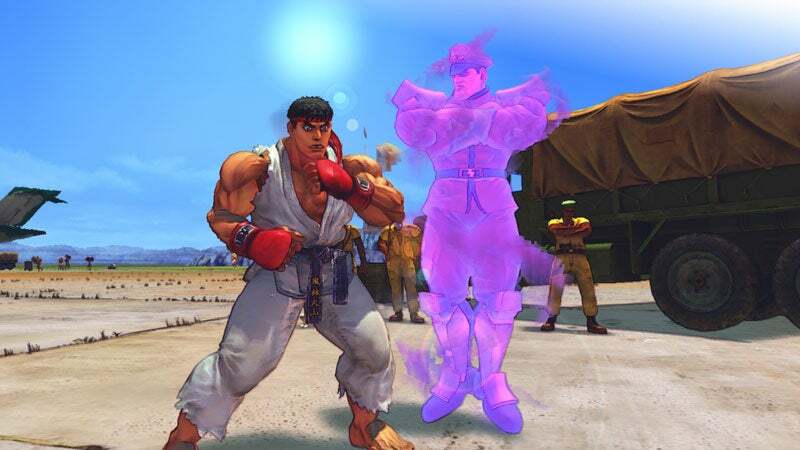 Near as I can figure, Street Fighter Ryu's "Hadoken!" means "Hi, I've just launched a fireball of chi at your head. Do you have the time?" Try saying that the next time you order sushi, and see what happens. What better way to learn a language than speaking like a thug? 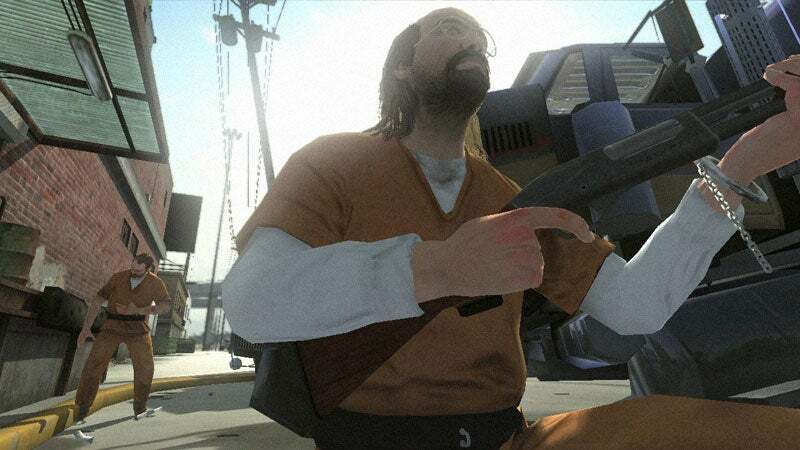 Meanwhile, Grand Theft Auto IV serves another handy purpose besides acting as a parental punching bag: language tutor. No joke! The player controls an Eastern European, after all. 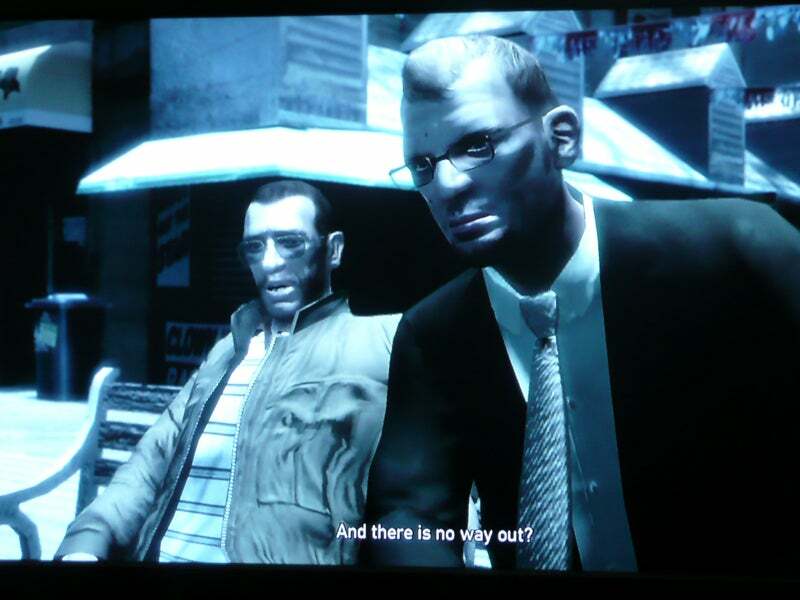 At times, (anti)hero Niko Bellic mumbles in Russian (well, I think it's Russian) under his breath, and a rough translation pops up on screen. Toggle on the subtitles, and you get the added bonus of being able to decipher what the heck L'il Jacob is saying in Jamaican (kinda). So go on, try to pick up some key phrases and use them on&#160;a nice old Russian or Jamaican lady who sits next to you on the bus. I'm sure you'll be a hit. Kopetsch is quick to add, though, that "the most important thing for a nonnative speaker is to differentiate between slang and elaborated speech. I don't want to greet an American colleague of mine by saying 'What's up, motherf***?'" Amen to that. Oh, sure, I could sit here and wax poetic about how some educational games will teach you foreign languages in as little as 20 minutes a day. (Disclaimer: Your results may vary depending on how much attention you're paying.) Is your Spanish no muy bien? Need to brush up on your French tongue? Ubisoft has released a series of fantastic tools for the Nintendo DS, the My Coach "games." 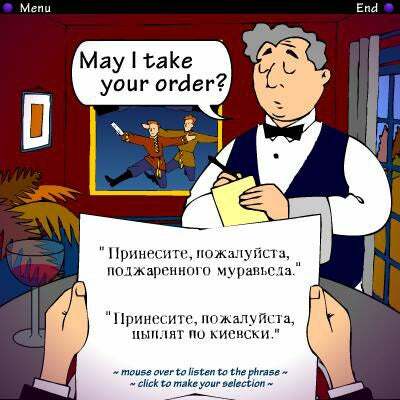 Brush up on your Russian, and several other languages, in Transparent's International Cafe. 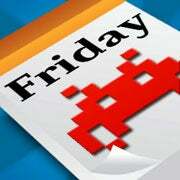 Alternatively, you could visit Transparent Language's online games page. It's really a clever ploy to get you to buy some of the company's&#160;language software suites, but at least you get a little mileage out of the fun (and free) flash games. Want to keep on picking up other languages through games, but don't want to part with any cash?&#160;You have&#160;plenty of other choices. My advice: Head over to Languagegames.org for a large selection of word search and crossword games.